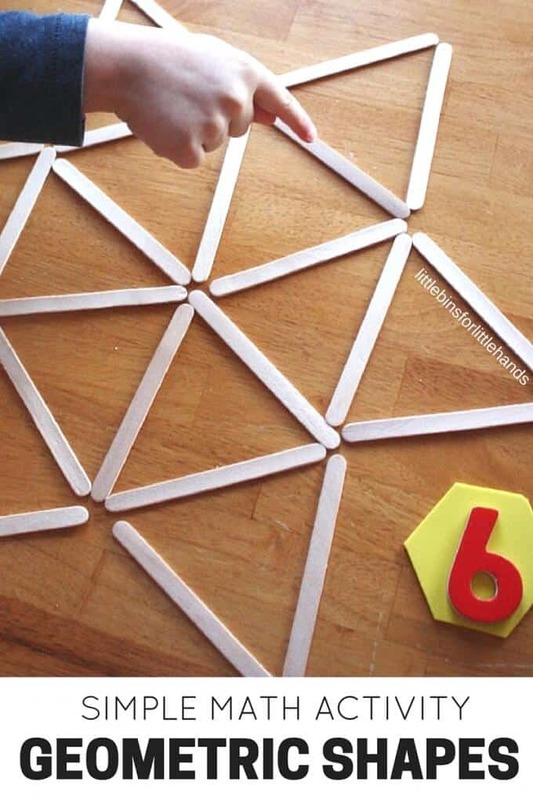 Learning the different shapes is really important for toddlers as they are key to pre-math and logic and pre-reading and writing skills. Check out these fun shape games for toddlers many of which will help put their excess energy to good use! This week we’ve pulled together 10 fun activities to help your toddler or preschooler learn shapes. 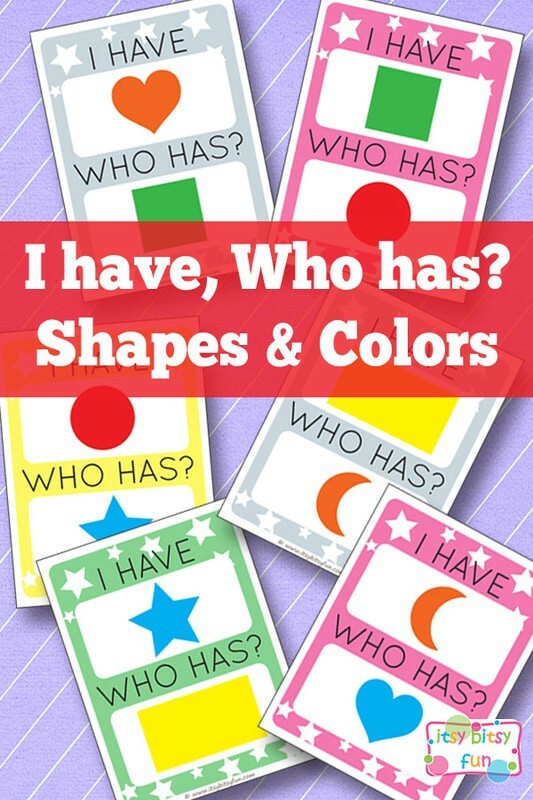 Learning the different shapes is really important for toddlers and preschoolers as they are key to pre-math and logic and pre-reading and writing skills. Toddlers need a grasp of geometry so they can figure out how to stop a tower of blocks from toppling over, or how to fit all of their toys back into the toy box. And letters are just made up of different shapes, so being able to recognise those shapes will help your child begin to recognise letters. 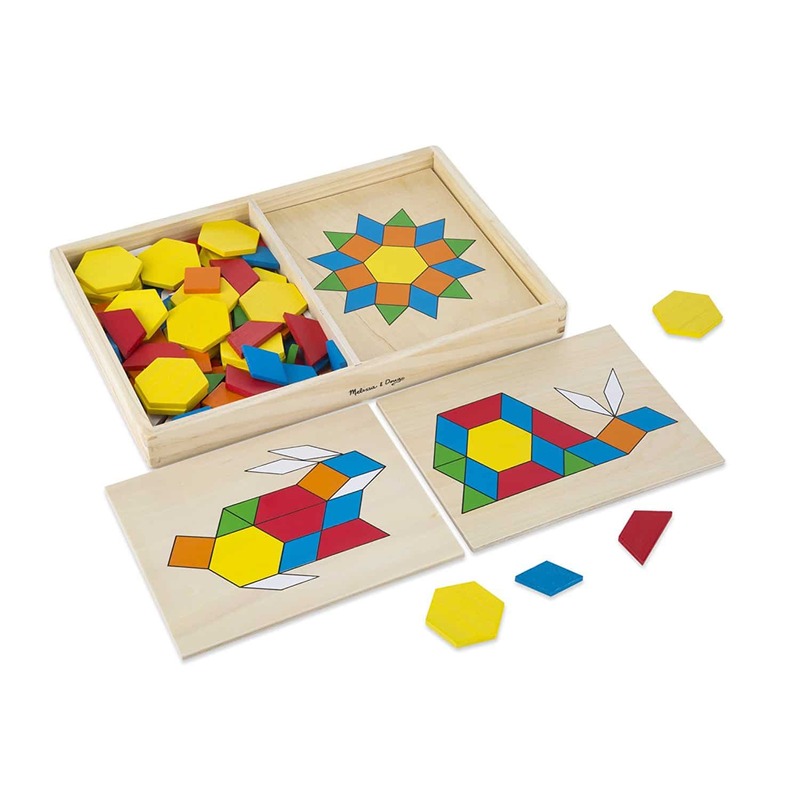 Tangrams and puzzle blocks are a great way to learn about shapes and how they can fit together to make larger shapes. If you struggle to get your little one engaged in learning activities, but they love snack time, then just combine the two! 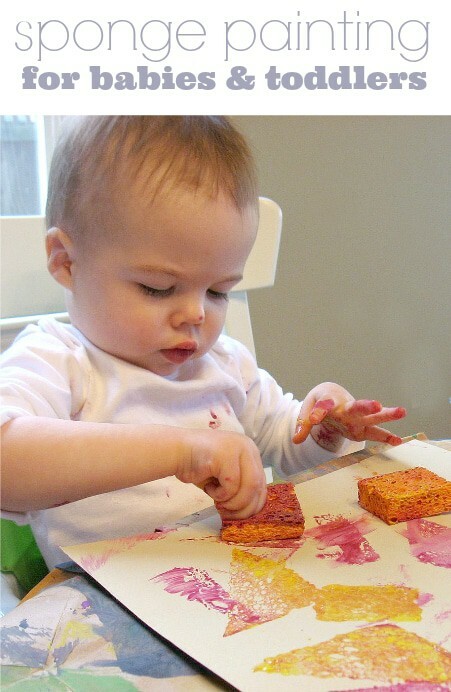 Even the youngest ones can learn about shapes in this fun sponge painting activity. 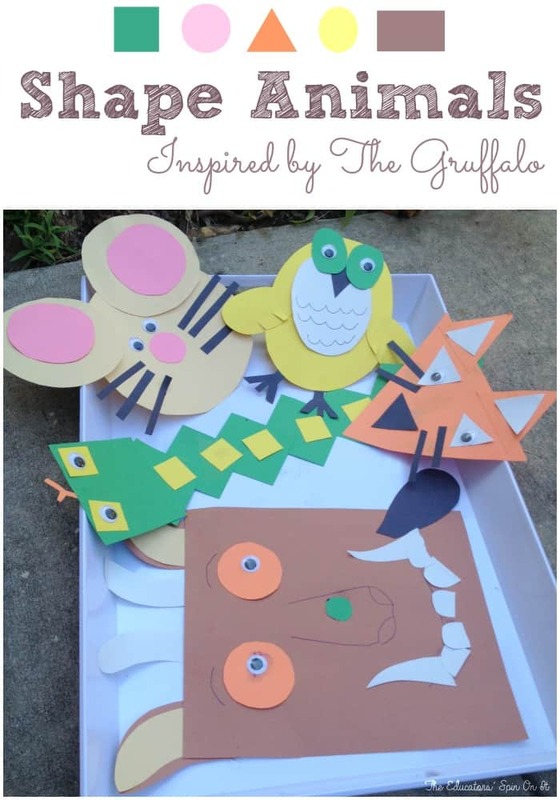 We finally got around to reading the Gruffalo this week and loved it – so this activity jumped out at me! What a fabulous way to learn all about shapes alongside reading a great story. 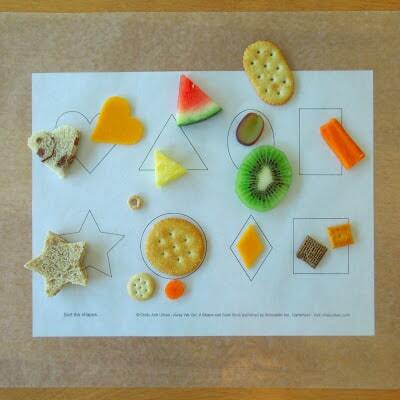 Here’s a great shape activity that older children will enjoy. Putting together geometric shapes and maybe even adding in some maths! 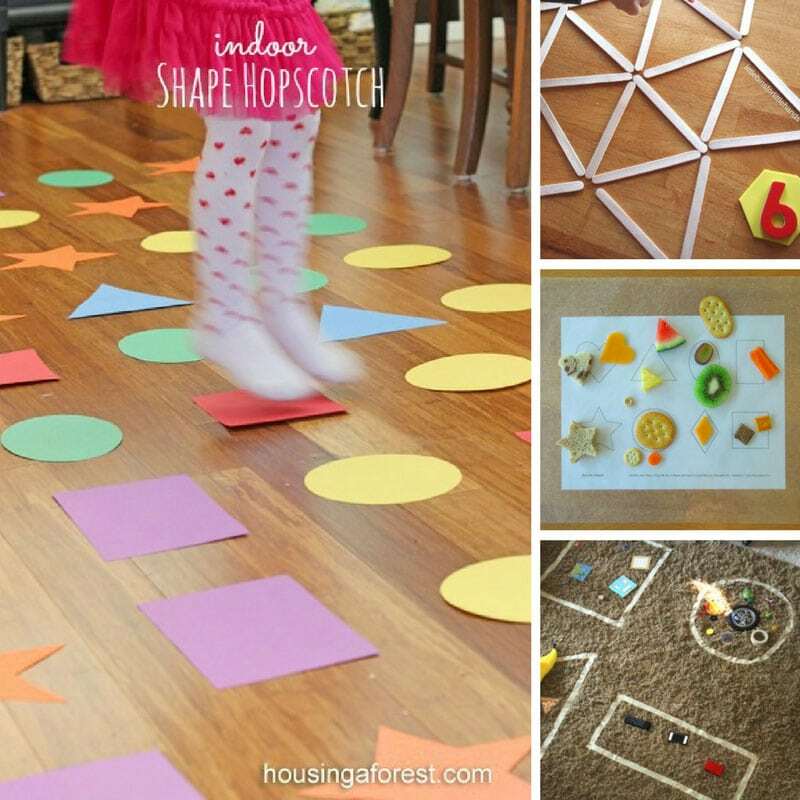 If your child doesn’t like to sit still and learn why not try this hopscotch game, they can learn about their shapes while still being on the move. 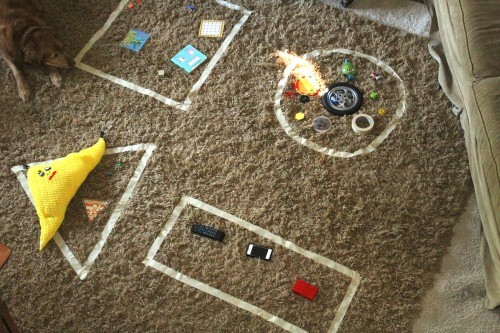 Here’s a great idea for kiddos who love sorting! Mix spatial awareness with some gross motor development, and if you have more than one child they can practice team work too! 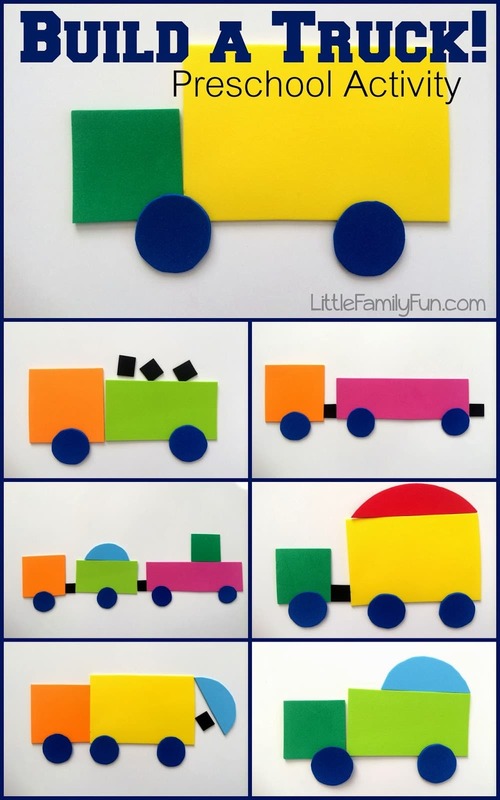 Take those shapes and build a truck or two! Here’s a fun game to play. 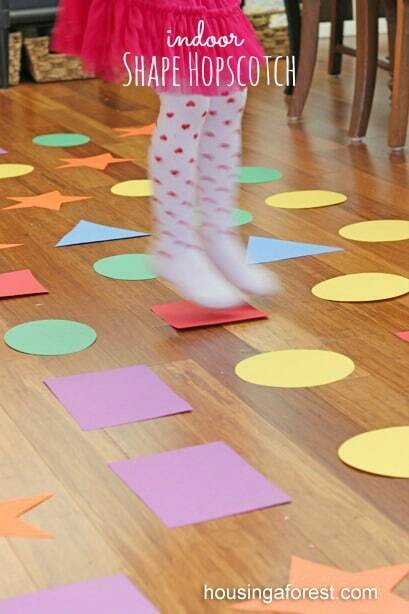 You can help your child learn about taking turns while they learn their shapes. 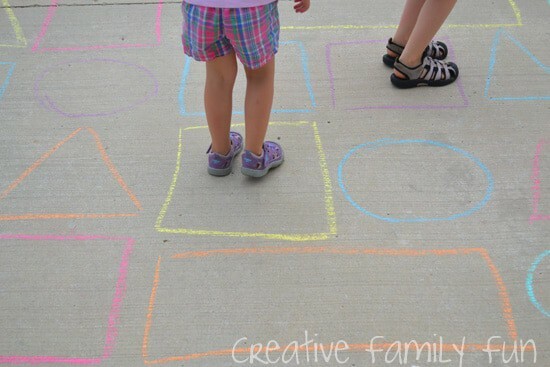 Get outside and get some fresh air while you help your kids master their shapes with a giant sidewalk chalk maze! If you enjoyed these learn shapes activities, why not check out our owl crafts and flower craft collections too!